 Q: So, a girlfriend and I are talking about our Aug birthdays, where we are/wanna be weight wise/healthy eating blah blah blah. Carbs came up. 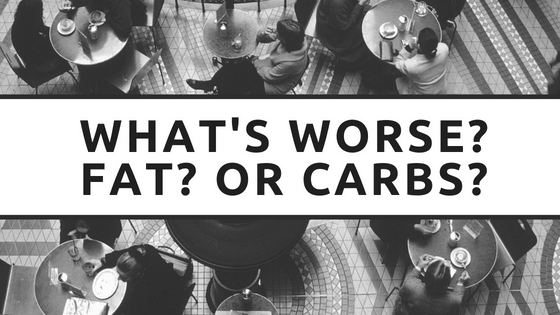 If one is counting carbs, what’s more important? The total carbs or net carbs (which I think is total minus fiber?) ? A: First of all, thank you very much for the great question. I was struggling to come up with a topic for this week’s installment, and this arrived right on time!!! This story is embarrassing to tell. Partly because I look like a fool, and partly because watching someone you know and like publicly double-down when they’ve already proven themselves wrong is hard. Gary’s fame and influence from GCBC and the follow up, Why We Get Fat, allowed him to fund a non-profit called NuSi. The mission of NuSi was to settle the question of “why we get fat?” Is it calories? Is it insulin? Is it something else? The short version of why this matters is that answering this question (calories vs. insulin vs. other) is very, very expensive to answer. You have to turn humans into lab rats for several months. Meaning they have to live in cages (metabolic wards3), have every bite of food controlled to nearest gram, take blood and urine daily, etc. 2 groups of people lived in metabolic wards for 2 months! Only difference was carbs and fat. Everyone in study did one month on each diet. One month very low carb (ketogenic). One month very low fat. Weight loss was the same. Insulin dropped by 47% in the very low carb/ketogenic group. Fat-loss was slightly lower on ketogenic diet. The ketogenic group lost more lean tissue. Calories determine weight. This ends any reasonable debate. Lowering insulin levels through diet does not increase fat-loss (even when calories are equal). Carbs vs. Net Carbs for weight loss? This was the original question, and the answer is this is the wrong question because the answer won’t help you get what you really want. What you really want is to lose weight now and keep it off. So, let’s talk about that. Here’s our free nutrition guide and here’s something I learned from the French. Gary is a wonderful person who has gone out of his way to be helpful time and time again. He is also the reason some of the most definitive research on “why we get fat” has been funded. Unfortunately, he’s made a career out of promoting low-carb diets, so he’s having a hard time listening to the results of the research he funded and help design. None of this is meant to be an attack on his character. Here I am getting rightfully called on my BS. A metabolic ward is a room where you can precisely measure the energy expenditure of a human.